Cascara sagrada is considered the beneficial part of the rhamnus plant, and may have powerful benefits for colon and bowel health. 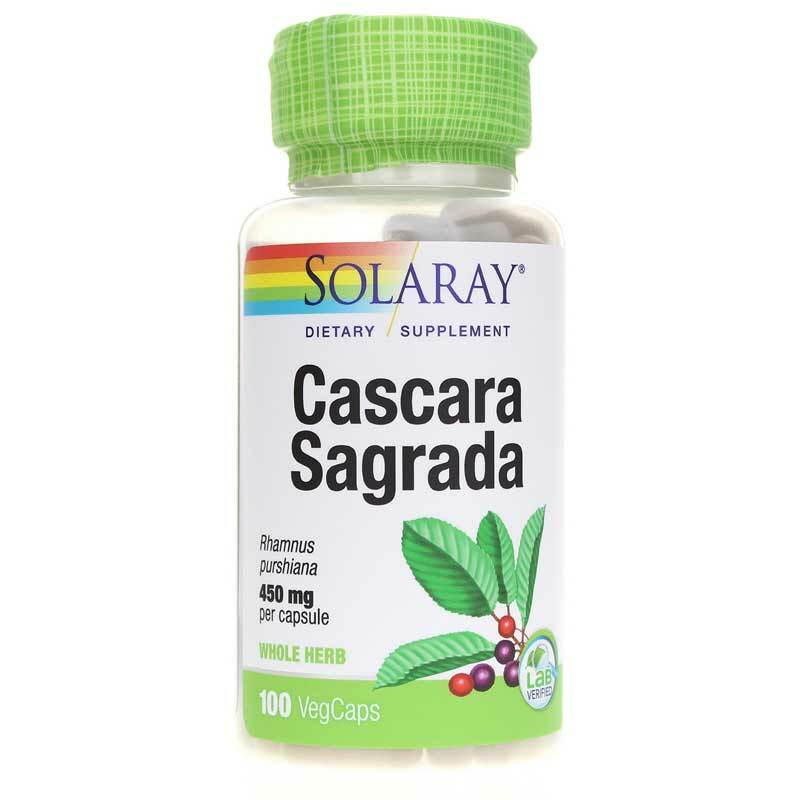 Solaray offers Cascara Segrada, a natural dietary supplement that provides 450mg of sascara segrada bark in every single capsule to enhance a sluggish colon and support your gallbladder and liver. Solaray's Cascara Segrada comes in an easy-to-swallow capsule form that can be taken once or twice daily with food or water to help relieve constipation. It should not be used for more than seven days in a row. Find the relief you need the all-natural way. Choose Cascara Segrada today, and see the difference it may be able to make for you. Order now! 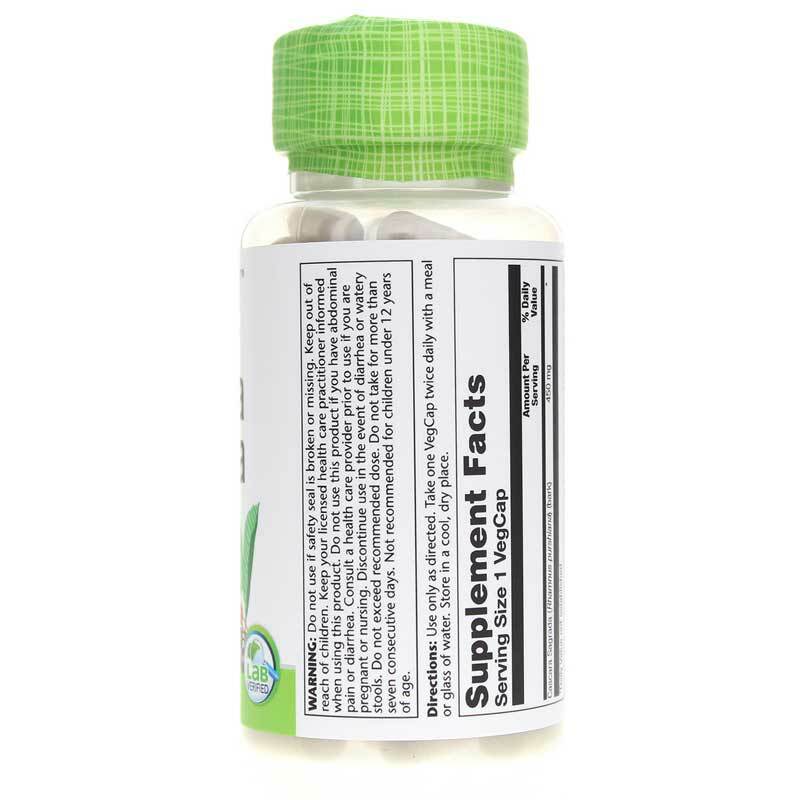 Adults: As a dietary supplement, take 1 or 2 capsules a day with meals or a glass of water. Children between the ages of 6 and 12 take no more than one capsule a day. Keep out of the reach of children. Keep your licensed healthcare practitioner informed when using this product. This product contains Cascara Sagrada. Do not use if you have or develop diarrhea, loose stools, abdominal pain, or intestinal obstruction. Consult your physician if you have frequent diarrhea, are pregnant, nursing, taking medication, or have a medical condition. Do NOT take for more than seven consecutive days. Not recommended for children under 6 years of age.